Can't decide between a large yet impersonal hotel or Airbnb's quirkier (but riskier) offerings? A micro-hotel might be just the ticket. One early morning inside the overcrowded breakfast room of a well-known Athens hotel, as I was jockeying between two noisy kids for a tiny glass of orange juice I had an epiphany: do I really want to start my day like this? Big hotels can be great, but sometimes the modern nomad needs a little more me-space – although without sacrificing creature comforts or a great location. Enter the micro-hotel: a new category of accommodation that may be a notch down from five-star luxury but is often a step up from Airbnb. This is a fairly new way to stay and believe it or not, Athens is leading the way. True, Paris may have been there first. 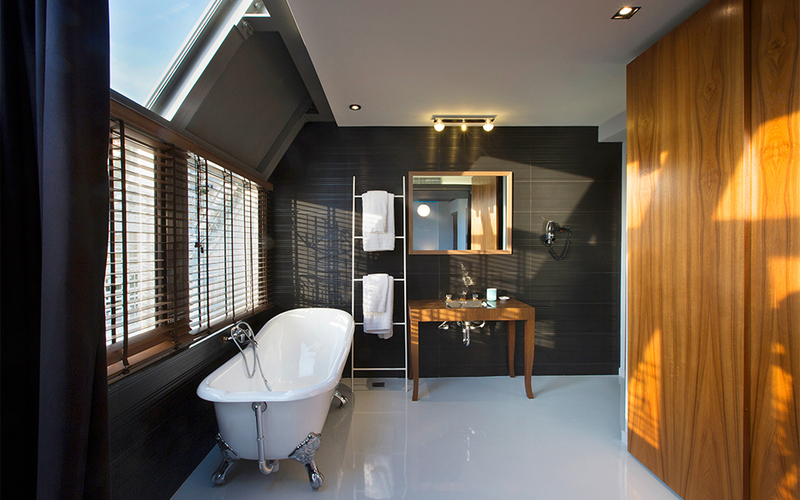 About a decade ago, the couturier Alaïa opened ‘Three Rooms’ above his atelier boutique in the Marais; design-conscious guests could enjoy a private entrance and revel in one-of-a-kind furnishings by the likes of Jean Nouvel and Marc Newson. Fast forward to 2017 and the high-hopes that Athens will be able to repeat last year’s record-breaking success in terms of tourist arrivals. The Greek capital’s reemergence as a city break destination of choice has meant this is a boom time for hotels in Athens. And quite delightfully for travelers, the options have multiplied. 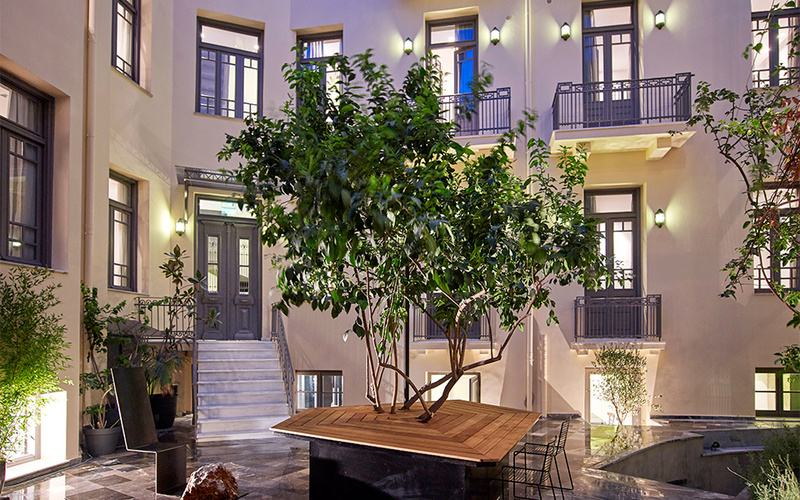 With 20 rooms In[n]Athens may be larger than the typical micro-hotel but the property defies labels as effortlessly as it courts the Athenian sun in its expansive open-air atrium, replete with a lemon tree. This bit of Provence (or the Peloponnese if you prefer) just south of Syntagma Square emerged in September 2015 after the painstaking nine-month renovation of a century-old building, of which the original façade remains. Although the central courtyard is original to the building, it has been given a thoroughly modern reboot with smooth concrete, whitewashed walls and wood and copper touches. The result is a crisp, clean aesthetic that carries over to the breezy guest rooms. Proprietor Manos Costantinou says that even though In[n]Athens is in the heart of the city, guests “feel protected by the building itself and the atrium is a kind of cocoon that keeps us serene.” It’s also where the home-cooked breakfast, consisting of as many locally sourced Greek delicacies as possible, is served: “a great experience on sunny days,” he adds. Former architect John Consolas, of mixed Greek-Irish nationality, opened the four-suite Alice Inn in 2012, naming it after his grandmother. It’s a “super-funky bed and breakfast at the foot of the Acropolis,” according to its website, set in a neoclassical building in the area of Plaka. Booking is actually done through Airbnb (for more on Airbnb in Athens, see below). Each “micro-apartment” is whimsically named: the Harry Belafonte Suite with its own roof deck, the Anthony Quinn Suite which has two bedrooms, the Mighty Aphrodite Suite on the ground floor with high ceilings and marble floors and below that the Betty Boop Suite, which features a private terrace and quirky touches like a steampunk-inspired bathroom. Overall you’ll find more homey, vintage touches throughout this inn than at the other microhotels, making the Alice Inn an interesting and decidedly non-touristy way to experience an Athens neighborhood you perhaps thought you knew inside out. 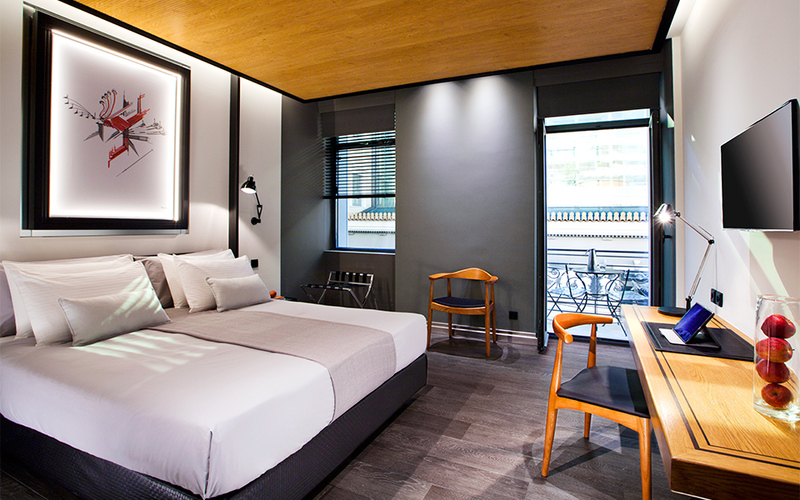 The team behind the popular O&B Boutique Hotel in the Psyrri neighborhood has pared down the room count and ramped up the style quotient at this new micro-hotel with seven rooms and suites just steps from busy Ermou Street. 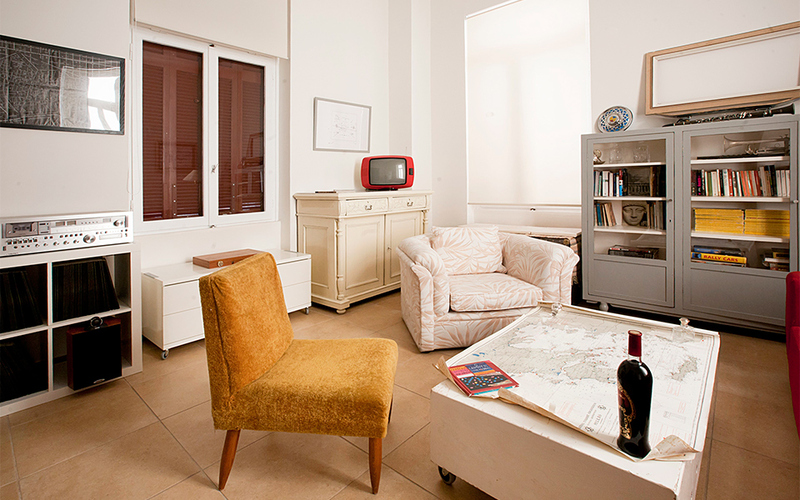 If In[n]Athens (see above) is more romance-oriented, Met34 courts the corporate traveler with some room configurations that allow the living room space to be used as a small meeting room. The sleek kitchens that are a staple of all the units can, however, be equally appreciated by families who might opt for evenings in. The décor features luxurious hardwood floors, sparkling marble bathrooms and a color palette of black and gray with some blond wood accents and the odd hint of red. Some of the rooms and suites facing Mitropoleos Street feature small balconies but the overall vibe remains resolutely urban. Whatever Met 34 may lack in homey warmth it makes up for in having the feel and flair of an exclusive club insulated from the city clamor just outside the discreetly marked entrance. The industrial-chic aesthetic was defined by the façade with its ample marble and floor-to-ceiling glass panels. Machinery from a textile factory was reborn as bedside tables and industrial tent fabric was reworked as curtains. Steel doors, old-fashioned black phones and Danish design furniture conspire to create a retro pied-à-terre style that reaches its apotheosis in the penthouse Pi Suite (our favorite). The room features a bank of oversized windows that reveal an unusual lateral view of the Parthenon; electric blinds keep the morning sunbeams at bay. A space-age blue neon light over the bed ensures that each traveler feels like the star of this show. A half-flight of stairs above, there’s a retractable metal grate which guests can slide open for sweeping views of the Panathenaic Stadium, Acropolis and Mount Lycabettus. And despite its size, Pi Athens still “has all the amenities of a hotel,” according to Sokratis, and breakfast is certainly not overlooked. Served in the brightly-lit basement space, you can squeeze ripe oranges to your heart’s content and get an omelet made to order. And maybe even meet a fellow traveler or two. Stumbling upon Kerameion for the first time elicits the kind of thrill of discovery that is growing increasingly elusive. In part, this is thanks to the neighborhood of the small apartment-hotel (with just two units): Psyrri. Thanks to its abundant street art and fairly raucous bar and café scene, the area exudes an urban grit and attitude lacking in the better-known and more touristy Plaka nearby. Not that this place’s urban roots don’t run deep: the property sits atop and gets its name from an ancient pottery workshop dating to 600-800 BC. During the restoration of the 19th century edifice, archaeologists found both pottery and slabs of unused clay. And guests can peer down at a Byzantine-era storage area through thick glass panels in the rear garden. “The result of all the work is definitely satisfying – Kerameion opened in fall 2015 – and most visitors recognize and appreciate the hard work,” says owner Stavros Tsiakalos. That arduous process yielded a rare fruit, an urban hideaway that actually feels more like a country retreat. There are just two apartments: a ground-floor studio with garden view and the upstairs apartment with two bedrooms. When I walked into the studio for the first time, as a guest, I was slightly overwhelmed: a huge amount of space drenched in light, with a view onto an olive tree; contemporary blond furniture of a faintly Scandinavian patina and a simply enormous bathroom. I knew it would be hard to leave and indeed when I found out there was a cancellation ahead of me I immediately extended my stay. 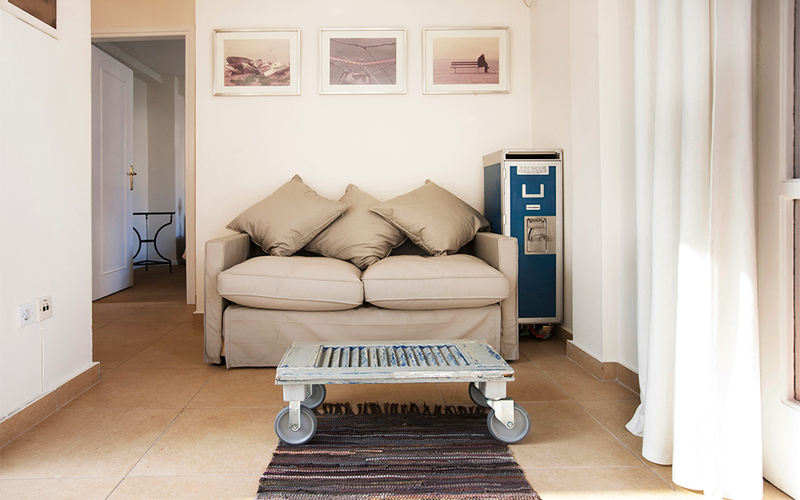 The apartment on the first floor has two bedrooms and is very family-friendly, says Tsiakalos. And while there’s no breakfast, fully equipped kitchenettes make a quick DIY meal or coffee a breeze. The bottom line? Travelers really do have choices these days. Airbnb itself faces competition from some uniquely Hellenic quarters. Compare the Silicon Valley giant’s offerings to those on a new Greek website called Blueground and you might be in for a few surprises – nicely furnished ones, at that – and maybe even get a good deal in the process.